Journal of Behavioral Health. 2014; 3(1): 43-52. Case Study and Case Report. 2012; 2(2): 38-45. NARAYANA NURSING JOURNAL. 2014; 3(2): 37-38. NARAYANA NURSING JOURNAL. 2014; 3(4): 41-43. NARAYANA NURSING JOURNAL. 2016; 5(1): 17-19. NARAYANA NURSING JOURNAL. 2014; 3(1): 38-42. NARAYANA NURSING JOURNAL. 2015; 4(3): 7-8. Stem Cell Fundamentals and Practice. 2015; 1(1): 6-6. Periodic Febrile Encephalopathy with Mixed Connective Tissue Disease: a Novel Phenotype? Annals of Paediatric Rheumatology. 2014; 3(4): 166 -171. Materia Socio Medica. 2018; 30(3): 180-184.
International Journal of Current Research and Review. 2015; 7(9): 10-15. Veterinary World. 2009; 2(12): 472-474.
International Journal of Health Sciences and Research (IJHSR). 2012; 1(2): 74-81. Online Journal of Otolaryngology. 2012; 2(2): -. Veterinary World. 2010; 3(3): 142-144.
International Journal of Medical Research. 2013; 1(4): 22-27. Erythematic Annulare Centrifugum: A Rare CaseReport in Association with Coronary Artery Disease. International Journal of Health Sciences and Research (IJHSR). 2015; 5(8): 715-719.
International Journal of Current Research and Review. 2013; 5(18): 26-34.
International Journal of Current Research and Review. 2015; 7(17): 15-19. Platelet-Rich Plasma: A Promising Therapy for Recalcitrant Venous Leg Ulcer: A Case Report. International Journal of Health Sciences and Research (IJHSR). 2014; 4(9): 371-375.
International Journal of Current Research and Review. 2016; 8(10): 01-04.
International Journal of Research in Medical Sciences. 2015; 3(7): 1583-1588. Effectiveness of Selected Mind Body Interventions on Anxiety Related to Childbirth and Labour Outcome among Parturient Women Undergoing Medical Induction of Labour. International Journal of Health Sciences and Research (IJHSR). 2016; 6(10): 139-146.
International Journal of Current Research and Review. 2016; 8(5): 37-41. Influence of Awareness Programme on Tuberculosis in College Students in Chennai. International Journal of Health Sciences and Research (IJHSR). 2015; 5(2): 329-334. Penetrating knife in the maxillary sinus: Report of a rare case. Online Journal of Otolaryngology. 2012; 2(4): 78-92. Journal-Cardiovascular Surgery. 2013; 1(2): 25-32. Auditory Short Term Memory and Academic Achievement in Normal School Going Children. International Journal of Health Sciences and Research (IJHSR). 2016; 6(1): 480-483. Veterinary World. 2010; 3(1): 21-22. Risk Factors Associated with Oral Sub Mucous Fibrosis (OSMF): A Case Control Study. International Journal of Health Sciences and Research (IJHSR). 2014; 4(7): 1-10. National Journal of Clinical Anatomy. 2014; 3(3): 137-142. Journal of Contemporary Medical Education. 2015; 3(3): 127-133. Saumya Mary Mathew, Varshaniyah Ravisanker, Tanvi Potluri, Suchithra T.V. International Journal of Current Research and Review. 2015; 7(12): 36-43. Veterinary World. 2010; 3(5): 250-252. Journal of Animal Science Advances. 2014; 4(7): 931-938. Journal of Research and Education in Indian Medicine (Estt.1982). 2012; 18(2): 93-100.
International Journal of Research in Medical Sciences. 2013; 1(1): 43-46.
International Journal of Current Research and Review. 2016; 8(2): 46-56.
International Journal of Research in Medical Sciences. 2015; 3(8): 1825-1831.
International Journal of Agricultural Management and Development. 2012; 2(4): 277-283. National Journal of Community Medicine. 2013; 4(3): 471-474.
International Journal of Contemporary Pediatrics. 2016; 3(2): 553-558. To Assess the Knowledge of Parents Regarding Childhood Specific Learning Disabilities Visiting a Selected Hospital at Mangalore. International Journal of Health Sciences and Research (IJHSR). 2015; 5(12): 268-273.
International Journal of Research in Medical Sciences. 2016; 4(3): 936-941.
International Journal of Medical Research. 2013; 1(2): 13-16.
International Journal of Advances in Medicine. 2014; 1(2): 176-179.
International Surgery Journal. 2016; 3(2): 578-581. Assess the Attitude of Staff Nurses in Providing Information to the Client Related To Legal and Ethical Rights In Psychiatric Setting In a Selected Hospital in Mangalore. International Journal of Health Sciences and Research (IJHSR). 2015; 5(10): 206-210.
International Journal of Reproduction, Contraception, Obstetrics and Gynecology. 2015; 4(4): 1206-1208.
International Journal of Reproduction, Contraception, Obstetrics and Gynecology. 2016; 5(7): 2161-2165. Journal of the Pakistan Medical Association. 2016; 66(6): 717-721. Vom Journal of Veterinary Sciences. 2016; 11(1): 30-35. Journal of Animal Science Advances. 2015; 5(2): 1181-1193. Screening based on incidence of severe retinopathy of prematurity in a tertiary care center in India: are Indian infants different? International Journal of Contemporary Pediatrics. 2016; 3(3): 847-853.
International Journal of Community Medicine and Public Health. 2015; 2(1): 33-37.
International Journal of Livestock Research. 2018; 8(9): 73-79. Journal of Behavioral Health. 2012; 1(4): 231-242. Journal of Applied Pharmaceutical Science. 2018; 8(2): 112-118. Journal of the Pakistan Medical Association. 2016; 66(1): 8-12. N.Balasundari1 , P.Selvarajan2*, S.Lincy Mary Ponmani1 and D.Jencylin1. International Journal of Reproduction, Contraception, Obstetrics and Gynecology. 2016; 5(3): 894-898. Journal-Cardiovascular Surgery. 2015; 3(2): 35-42. Journal of Behavioral Health. 2013; 2(1): 59-65.
International Journal of Reproduction, Contraception, Obstetrics and Gynecology. 2014; 3(3): 760-763. Journal of Contemporary Medical Education. 2015; 3(3): 96-100. Journal of Animal Science Advances. 2015; 5(3): 1225-1233.
International Journal of Reproduction, Contraception, Obstetrics and Gynecology. 2015; 4(3): 745-749.
International Journal of Tropical Medicine and Public Health. 2015; 5(3): 1-5. Journal of Immunology and Clinical Microbiology. 2017; 2(3): 54-61. 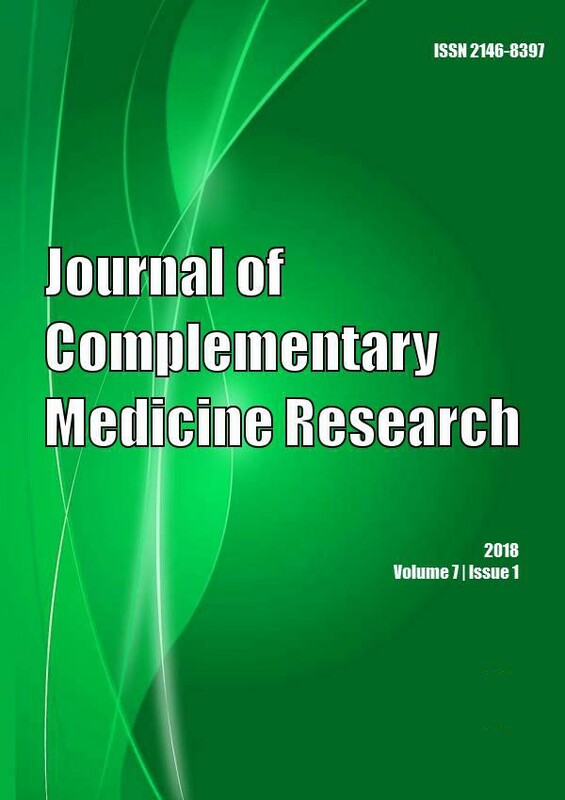 Journal of Complementary Medicine Research. 2012; 1(1): 1-6. Comparison of Bursal and Body Weights in Cockerels Vaccinated with a Live and Two Killed Vaccines Against Infectious Bursal Disease Virus. Journal of Veterinary Advances. 2014; 4(6): 576-581.
International Journal of Research in Medical Sciences. 2015; 3(10): 2807-2809. Journal of Interdisciplinary Histopathology. 2013; 1(5): 270-273. Journal of Applied Pharmaceutical Science. 2015; 5(12): 092-095.
International Journal of Reproduction, Contraception, Obstetrics and Gynecology. 2016; 5(4): 1047-1051.
International Journal of Medical Science and Public Health. 2015; 4(9): 1269-1276.
International Journal of Community Medicine and Public Health. 2015; 2(3): 244-253. S. Priyanka, Christina Mary P. Paul, Daisy Dharmaraj, K. K. Dutta Gupta, P. A. Archanalakshmi, Veena Paul V. S.
International Journal of Community Medicine and Public Health. 2016; 3(10): 2716-2721. Journal of Applied Pharmaceutical Science. 2017; 7(10): 94-99. Journal of Interdisciplinary Histopathology. 2013; 1(2): 89-92.
International Journal of Medical Science and Public Health. 2015; 4(9): 1247-1250. Venkata Bharatkumar Pinnelli, Jayashankar C. A., Shrabani Mohanty, Asha G., Minu Mary Mathai, Raghavendra D.S. International Journal of Research in Medical Sciences. 2016; 4(1): 131-134. Journal of Interdisciplinary Histopathology. 2014; 2(1): 38-40. Journal of Contemporary Medical Education. 2015; 3(1): 36-39. Journal of Applied Pharmaceutical Science. 2017; 7(11): 110-118.
International Journal of Medical Science and Public Health. 2016; 5(2): 267-271. Journal of Interdisciplinary Histopathology. 2013; 1(3): 172-174. Oxidants and Antioxidants in Medical Science. 2013; 2(3): 217-223. National Journal of Physiology, Pharmacy and Pharmacology. 2017; 7(2): 143-146. American Journal of Physiology, Biochemistry and Pharmacology. 2014; 3(2): 57-65.